We bought a new barbecue last year and it’s been a dream to cook with. Our previous barbecue was given to us by my parents. They bought a new one after the roof of their gazebo fell on top of it. No one was hurt thankfully, but the barbecue ended up getting a big dent on the lid. It still worked, but it sure was ugly to look at. With summer almost here, I’m ready to get my grill on. How about you? I’ve rounded up 20 of the best summer grilling recipes. I’ll be barbecuing a ton this summer so I want to get lots of recipes in my cooking arsenal! How often do you grill in the summer? I’m going to have to try some of these out when we get our grill soon! Definitely some new recipes here I’d love to try this summer! Lemon/Lime chicken, yum! These are awesome recipes for the grill. Thanks for the recipes i’m looking forward to trying the Grilled Corn Salad With Avocado And Tomato . Grilled Hawaiian Chicken Chili Kebabs is a must try! Thanks for the list of recipes! I am always on the look-out for alternate recipes. Some of these sound really good, will have to try some of them out over the summer. Thanks! Lemon lime grilled chicken caught my eye. Love the flavors. Thank you so much, Stacie for the great grilling ideas to make this summer extra special. I give great gratitude that you are so nice to share these and hope the best for your blog. Thanks for sharing these delicious recipes. I would love to try the Mango Lime Grilled Chicken. 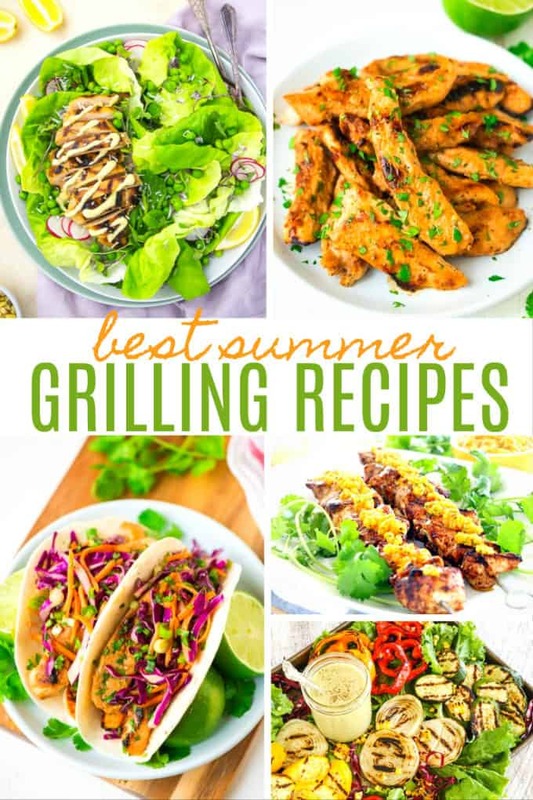 Thank you for sharing some of these delicious grilling ideas and recipes that are so appealing. Great this is the perfect grilling season.